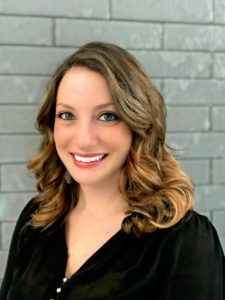 Conference Grant Award Recipient Nicollette Starnella - The Junior League of Boston, Inc. The JL Boston Conference Grant Fund was established to encourage, empower, and enable active members of the Junior League of Boston to pursue training opportunities, through an offset of registration and related costs. This grant helps us live into our commitment to connect trained volunteers to meaningful community projects. We’re excited to share how our 2018-2019 recipients used their awards for personal and professional development. Nicollette Starnella attended the Women in Wellness Leadership conference on March 12. Nicollette is an Active Member who currently serves on the JL Boston Signature Events committee, planning and supporting many of the major fundraisers that enable us to impact the wellness of girls. 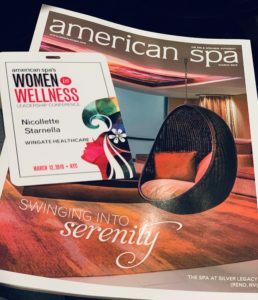 “Attending the second annual Women in Wellness leadership conference, hosted by American Spa Magazine, was both enriching and exciting. American Spa has curated powerful day-long conferences that address some of the most pressing issues facing women leaders and leaders-to-be with compelling keynote speakers and breakout sessions. The event focused on women who hold leadership roles in the spa and wellness industry and included various strategies on unique ways to empower yourself, your teams, and the world. Keynote speakers included Claire Wasserman, founder of Ladies Get Paid, Jean Chatzky, CEO & Cofounder of HerMoney, and Elizabeth Scherle, Cofounder & President of Influenster. Thank you, Nicollette, for all of your work supporting JL Boston and for the expertise and insight you contribute to our membership!